Here's a quick recap I wrote for my blog with some links from last night's Friend's of Amundsen mixer. 130 people were there, so you probably were too! 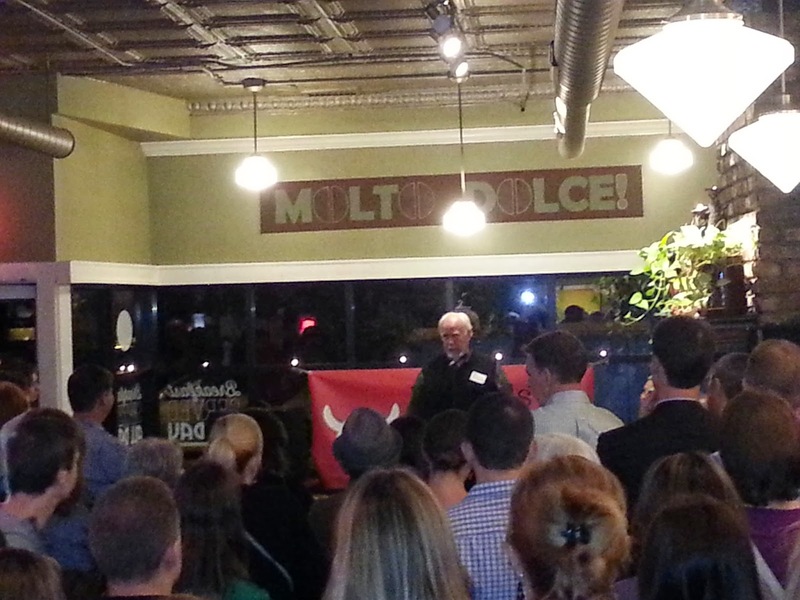 Alderman O'Connor addresses 130 registered guests at Dolce Casa Cafe, 4947 N Damen Avenue in the Ravenswood neighborhood. Later Amundsen High School Principal Anna Pavichevich highlighted programs and the improved metrics at Amundsen High School. 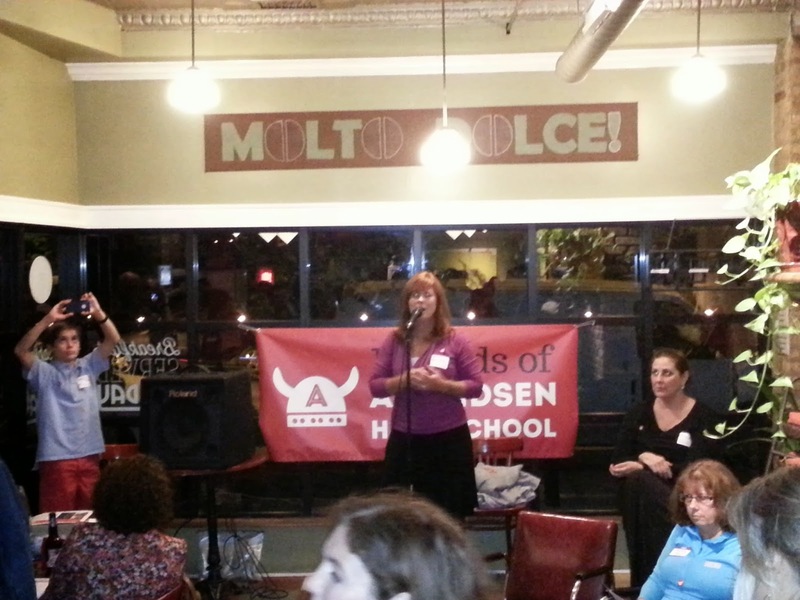 I had a great time supporting the Friends of Amundsen High School with neighbors last night in Ravenswood. Local leaders including the the Mayor's floor leader 40th Ward Alderman Patrick O'Connor, 47th Ward Alderman Ameya Pawar and Dr. Maureen Gillette, NEIU's Dean of the prolific College of Education spoke on the ongoing efforts helping to improve our neighborhood attendance high school on the Winnemac Park campus. Me and da future Mayor? 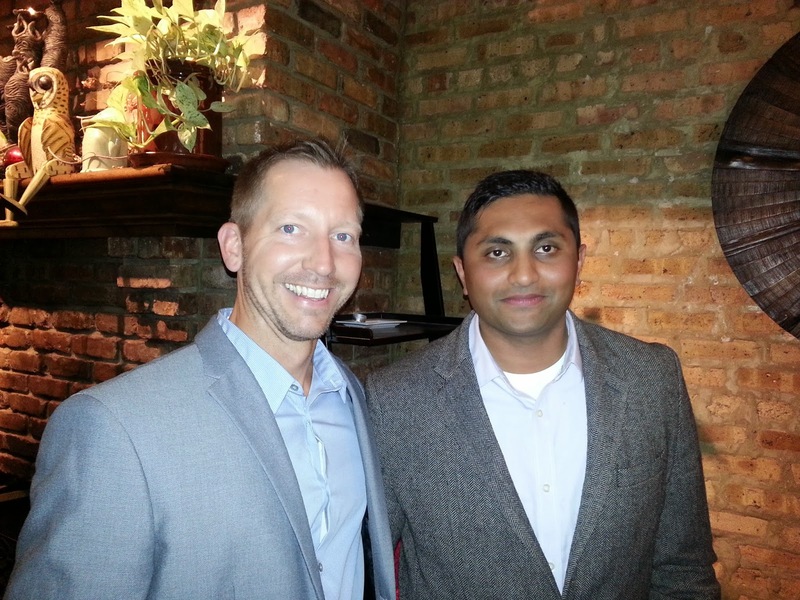 Alderman Pawar looks thrilled to be in my company! Teachers, politicians, Local School Council members from several schools, neighbors and administrators were educated on the path to a strong welcoming high school that promises to prepare our kids for college. There was much emphasis on a caring environment coupled with laser sharp focus on instruction. Bottom line: Don't stress out! Make this your school for your kids. Smart guys! 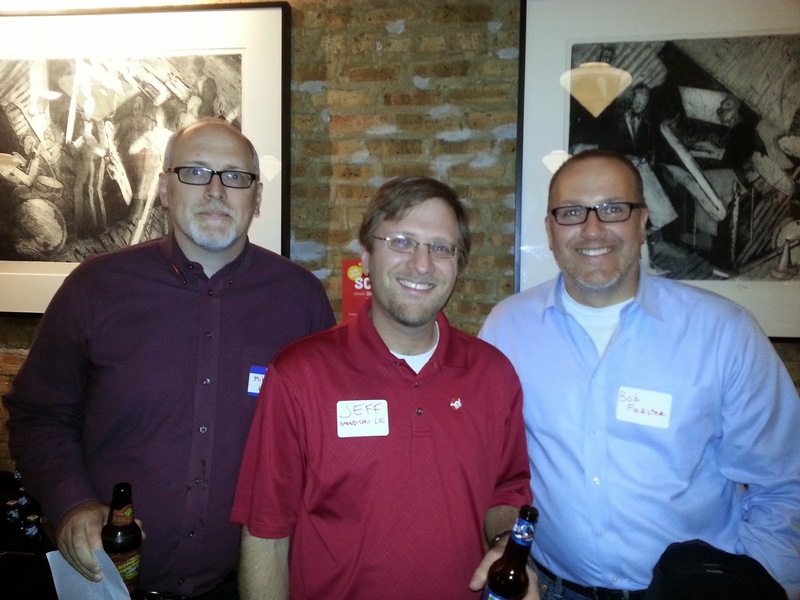 Amundsen LSC members (from left) Michael Cohen and Jeffrey Newman. McPherson Elementary LSC Chair Bob Farster on the right. 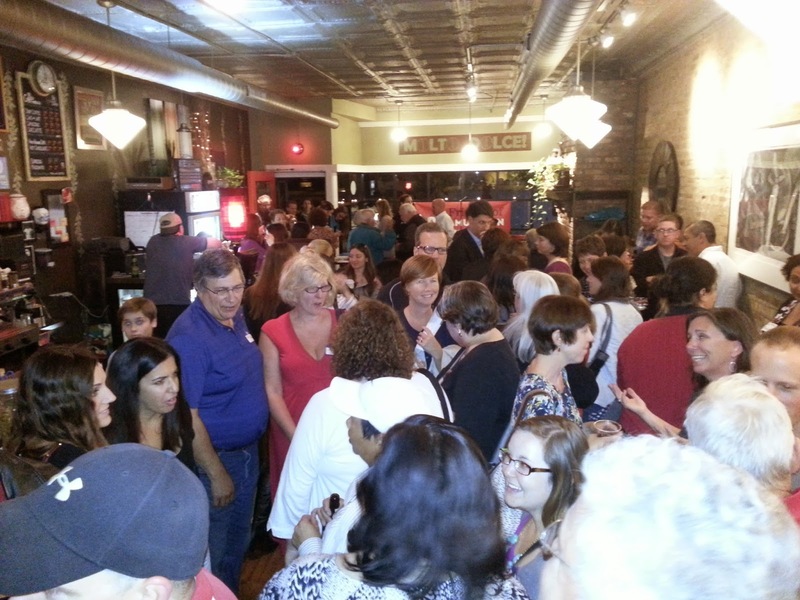 The packed house enjoyed the hospitality of Dolce Casa Cafe and beverages donated by Friends of Amundsen President Stephen Reynolds. Seasoned schools contributor Wendy Vasquez outlines an action plan to take part in now!